What Makes A Really Good Sales Person? Is being a good talker enough to make a good sales person? We’ve all heard the saying, “you have the gift of gab, you should be in sales,” but is having the “gift of gab” really enough in today’s business climate? Customer service expectations and the increased demand for (and availability of) information have changed the way the world does business. 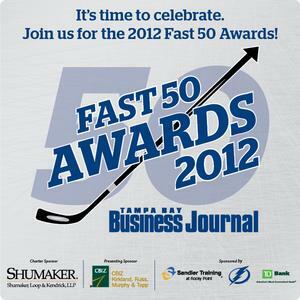 Clients need to know that you are not just a vendor trying to make a quick dollar, but that you are committed to them. In fact, commitment is key. Good business isn’t just about selling products anymore; it’s about forming trusted relationships, taking responsibility and selling something you passionately endorse. An honest salesperson that knows what he/she is talking about!? Sounds crazy, doesn’t it? 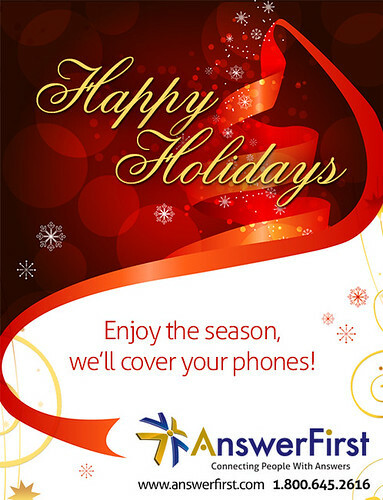 Happy Holidays from AnswerFirst, a photo by AnswerFirst on Flickr. Wishing all of our partners, clients and employees a safe & happy Holiday Season. Phone Customer Service, a photo by AnswerFirst on Flickr. 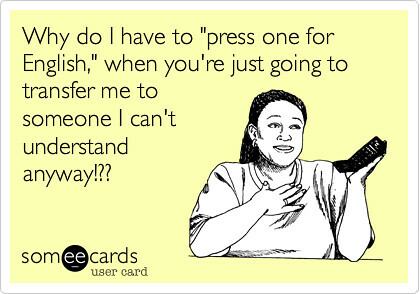 Why do we have to, "press one for English," when we just end up getting transferred to someone that we don't understand anyway? At AnswerFirst we only hire English speaking U.S. agents so that our clients' business calls are answered properly. The Republican National Convention is being held in Tampa, FL beginning August 27, 2012. 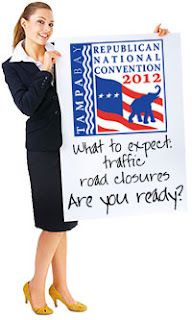 More than 50,000 people are expected to visit Tampa for the convention and while many local businesses will benefit from the additional tourism other businesses will be forced to close their doors or figure out a way to operate remotely because road closures and traffic will make it impossible for them to function normally. AnswerFirst's Center of Operations is located just outside of downtown Tampa and will remain open during the RNC. The majority of our call center staff works remotely and will not be affected by the congestion that the convention will bring. If you think your business will be affected, it's not too late to set-up an account with us so that we can help you handle your business communications during the week of the convention. For more information, please visit this page of our website: Use An Answering Service During the 2012 RNC or call us at 1-800-645-2616. You Can Tweet or Facebook us for Support, a photo by AnswerFirst on Flickr. I’ve learned that educating potential clients about answering service practices & capabilities is what makes our service shine above competitors. Unfortunately, not all potential clients are invested in learning before they buy. In the contact center industry this “attitude without aptitude” quote demand always leaves the buyer with unreasonable expectations and often substandard service. Attention Laywers & Law Offices: Need A Live Agent? Does your law office need a live agent? 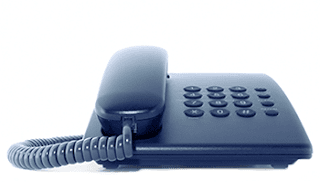 sending your clients' calls to voice mails? misplacing phone numbers and messages? letting emails pile up in your inbox? We provide 24/7/365 Answering Services, Inbound Email Processing, Virtual Receptionist Services, Appointment Scheduling and Customer Service Solutions. 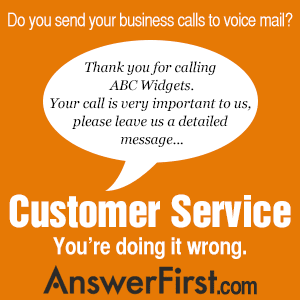 How Does AnswerFirst Deliver Messages?